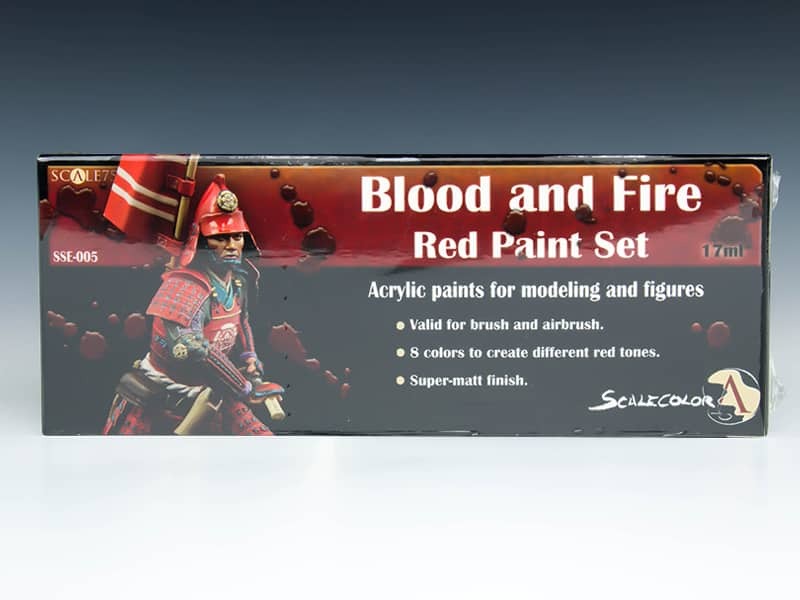 Scale75 Scalecolor – NMM Paint Set (Gold). 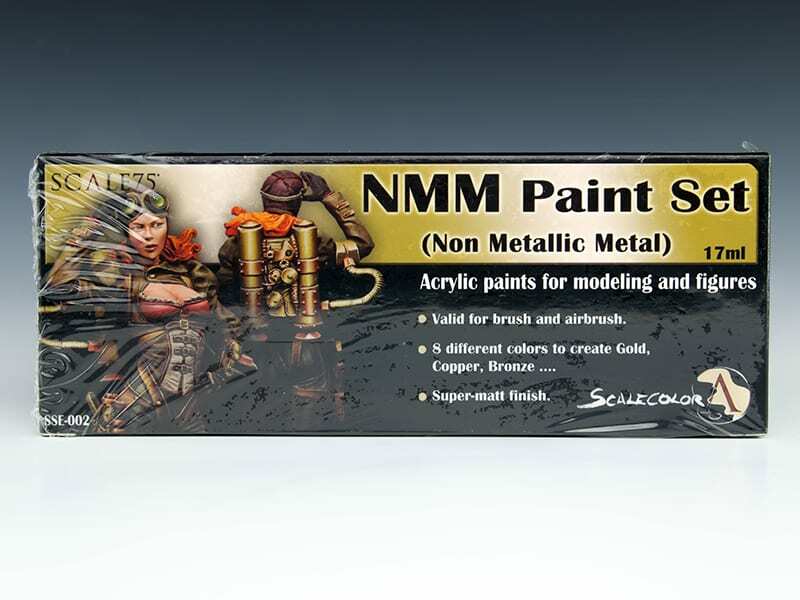 8 x 17ml bottles of NMM (Non Metallic Metal ) Gold and Bronze tone paint. 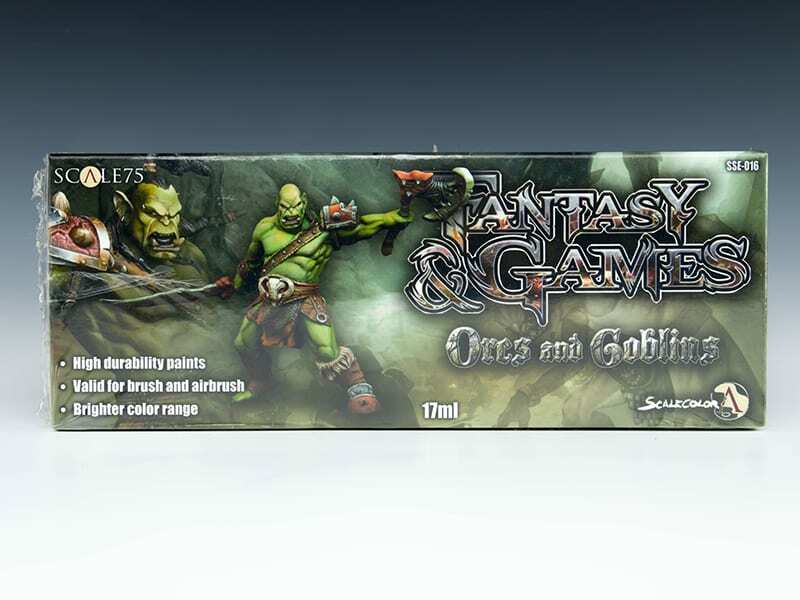 An ideal set for painting in the NMM style, and can be used to create Gold, Copper, Bronze, Antique Gold, and many more Gold based NMM effects. Scale75 Scalecolor have an extremely dense pigment and fluid base, this makes the paint extremely suitable for blending and fine glazing techniques. 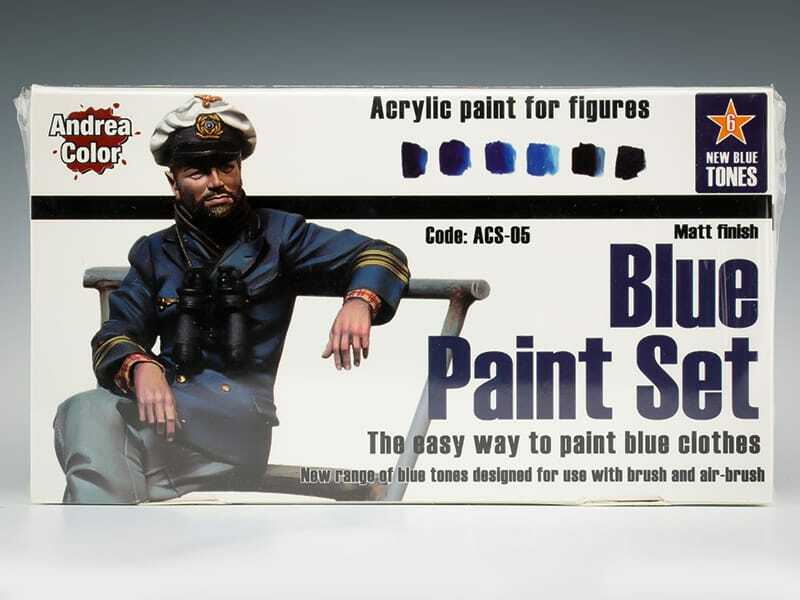 Scalecolor have a super matt finish and a unique colour palette, they are suitable for both brush and airbrush application; and are perfect for Historical, Fantasy and Sci-Fi painters and gamers. 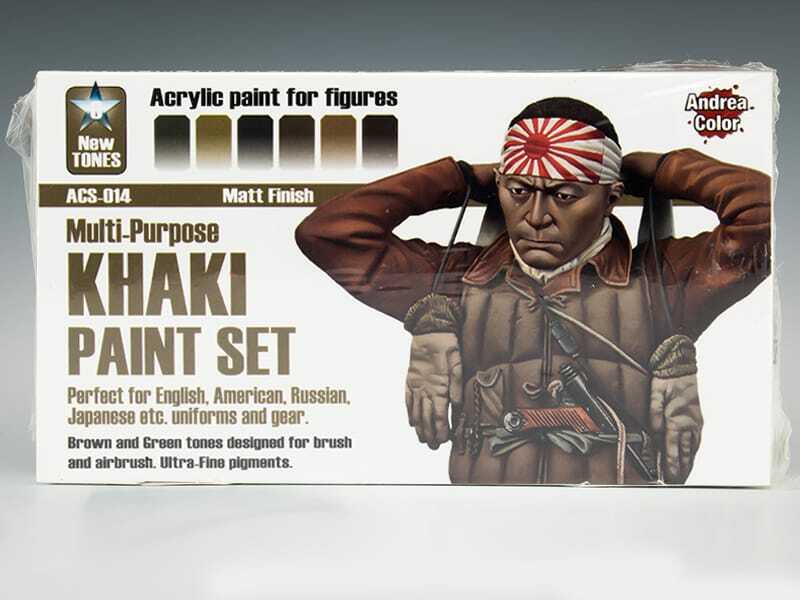 Included in each pack is a step by step tutorial leaflet illustrating the NMM technique and colour placement.